Below are the standard BJU Press Reading materials provided for each elementary grade. Some grades may include additional pieces. The Student Readers provide interesting, developmentally appropriate selections from a variety of genres with a progression of difficulty in readability and skills to provide success for every student. Bible retellings closely follow the text in scripture to translate reading skills into Bible study skills. The Worktext includes independent practice materials that reinforce skills covered in the lessons including application of phonics, vocabulary, comprehension, and composition. Each grade&apos;s Teacher&apos;s Edition includes detailed lesson guides with vocabulary sentences and literary instruction, literal and higher-order discussion questions, and prereading and postreading activities to meet multiple learning styles. Gades 1–3 also include phonics instruction or review. 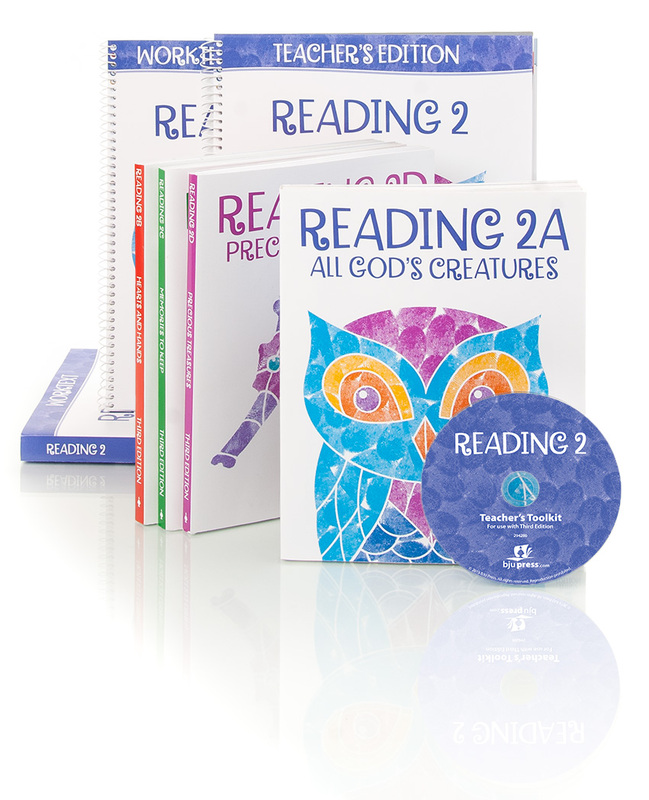 A Teacher’s Toolkit CD is provided with the Teacher’s Edition for Grades 2–3 that includes many new features as well as products previously sold separately.